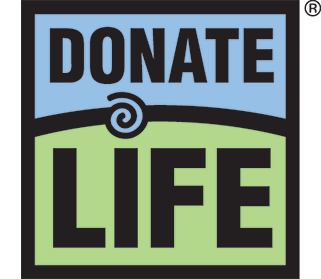 The Donor Alliance Foundation will provide funding for grief assistance and compassion support for donor families through nonprofit community health serving organizations; other nonprofit organizations doing work with donation and transplantation. It will meet the needs of people or families requiring assistance, who are waiting for a transplant through food vouchers, housing and medication assistance, etc. and the needs of people or families requiring assistance post-transplant. It will aim to meet the needs of living donors and potential living donors through food vouchers, housing assistance, etc. and provide funding to social workers to support people or families requiring assistance with housing, medication, food, etc. The Foundation anticipates making one-year grants up to $5,000 in the Family Assistance program area. It will make one-year grants; funds must be expended between Sept. 1, 2018 and Aug. 31, 2019. Because funds are limited, it is anticipated that not all applicants will receive funding. Applications must be submitted through viable nonprofit, community serving, social work or hospital-based program and be able to demonstrate how their services directly meet the need of the population they serve. Applications must be able to show a direct and immediate impact to those served by providing resources like food vouchers, housing assistance funding and medication assistance, etc. Applications must be able to measure and effectively report uses of funding and benefit to the recipients. Do you have questions? Download the full RFP HERE for specific criteria and qualifications or view our Family Assistance Fact Sheet. The window to apply for a grant has closed. We will let you know when there is another opportunity to apply for funding.